The automotive industy just keep growing and it is when you start shopping for a new vehicle that you realize the extent of choices that are available to you. Being in the market for my next car, I found myself in front of an impressive range of models offered in a variety of prices. I began my quest to find a vehicle suitable for my active, urban lifestyle. I live and work in downtown Montreal, but I escape every weekend in the Eastern Townships to hit the slopes with my skis or the road with my bike. I was ultimately looking for a spacious vehicle, cool sporty design, fun to drive that would feature a good list of accessories… without breaking the bank. After spending hours browsing the web, I made a find on Youtube. 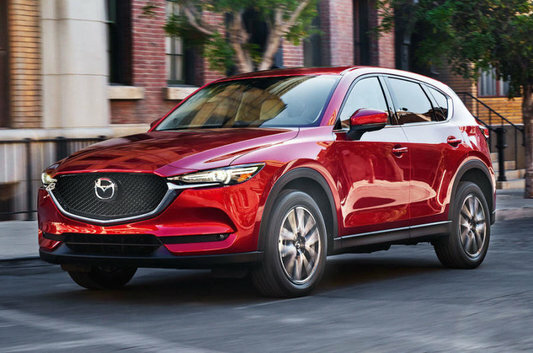 I came across the 2017 Mazda CX-5, a multi-segment SUV with attributes comparable to high-end brands with a driving demeanor that was rated as remarkable by users. So I headed to Spinelli Mazda for a test drive and ... the CX-5 immediately seduced me with its comfort, its sleek interior, and its nervous driving. Offering the best of both worlds, the 2017 CX-5 has refined lines worthy of the most coveted luxury brands and a sporty yet precise driving style that is suitable for both the city and the country. This SUV also includes a wide range of cutting-edge amenities. 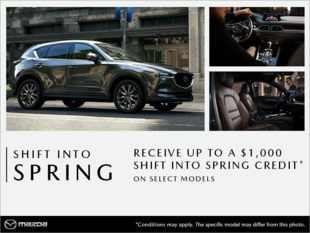 The CX-5 features an electric tailgate, a 10-speaker Bose stereo, and a sophisticated Mazda Connect system on a high-resolution display to keep you connected no matter where you are. What really impressed me about such an affordable vehicle is its outstanding passive and active safety features; Smart City Brake Support system, blind spot detector, adaptive cruise control, and lane exit warning. Truly amazing! Whether you are a luxury amateur or an outdoor enthusiast, you will have the greatest pleasure driving it. And owning it! Get behind the wheel for a test drive now!